What occurred in Christchurch New Zealand, was a horrific, heinous act against humanity. The response that immediately followed, by scores of left leaning media outlets and organizations was the new trend..to harshly criticize those offering thoughts and prayers, and labeling it Islamophobia rather than what is was, murder. Murder is against the law, Islamophobia is not..yet. The aftermath of crime is the focus of this article, not the event itself. Crimes of every nature occur every second in America, to every type of person, regardless of their race, religion, or sexual orientation. It seems though, any crime that has happened to a Muslim, is based on Islamophobia only. Islamophobia has become a weapon used by Muslims to attempt to silence any and all types of criticism, and exposure. Islamophobia, when first coined, was meant to be a “fear of Islam”. Since that definition didn’t have the desired impact or outcome, the term was redefined to mean Islamophobia is rooted in racism, and is caused by hatred and discrimination. Changing the meaning now encompasses more than criticism or being exposed, it means anything that occurs to a Muslim, or is negatively spoken about Islam is Islamophobia . They want you to believe Islamophobia equates with killing. By promoting the false narrative that exposing or speaking out against Islam leads to violence, or death, Muslims are hopeful pressure by those that embrace and support them will eventually lead to laws similar to those in Middle Eastern countries. In Egypt, Counter-terrorism and Protest laws are used as aguise to arrest those using the internet to criticize their government, but Blasphemy or apostasy laws are applicable if one dares to denounce Islam or Sharia law. While it is difficult for many to wrap their head around Muslims believe Islam is superior and meant to dominate, just as many understand the end goal, which is the return of the global caliphate, where in fact, Islam is dominate. With the incident occurring in New Zealand, supposedly at the hands of an anti-Muslim deranged man, Islamic groups here in America did not waste time urging Americans to fight against Islamophobia. The Council on American Islamic Relations (CAIR aka Hamas) pointed to research showing a rise in anti-Muslim sentiment since President Trump was elected. 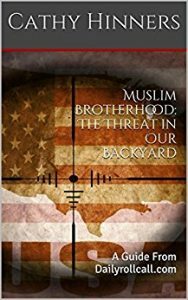 CAIR National Executive Director Nihad said President Trump needs to assure Muslims that they are protected and that he will not tolerate violence against their community. Of course, this statement is not true, since many reports of violence or harassment against Muslims have been proven to be bogus, with Muslims often committing the actual crime themselves to intentionally up the statistics on crime against Muslims. President Trump is working to protect all Americans. 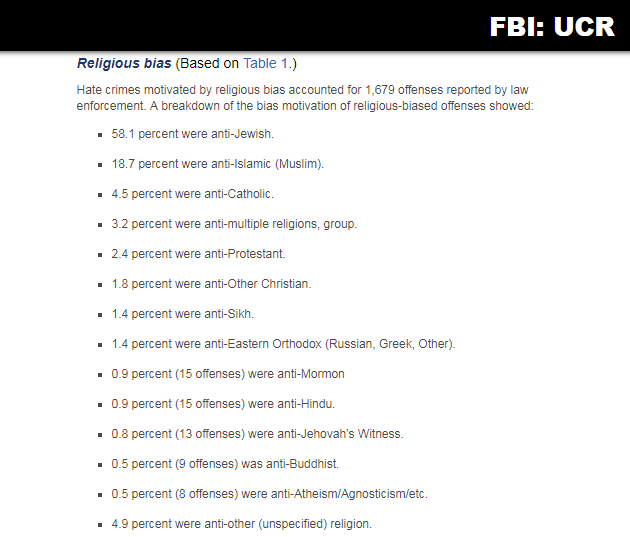 Besides the false reports (this is only a few), the FBI’s statistics from 2017 shows Jews the most victimized, not Muslims. Another group always seeking attention, is the American Muslim Advisory Council (AMAC) based in Nashville TN. Their statement regarding the New Zealand mosque shooting blamed President Trump, and the Islamophobia “200 million dollar industry”. 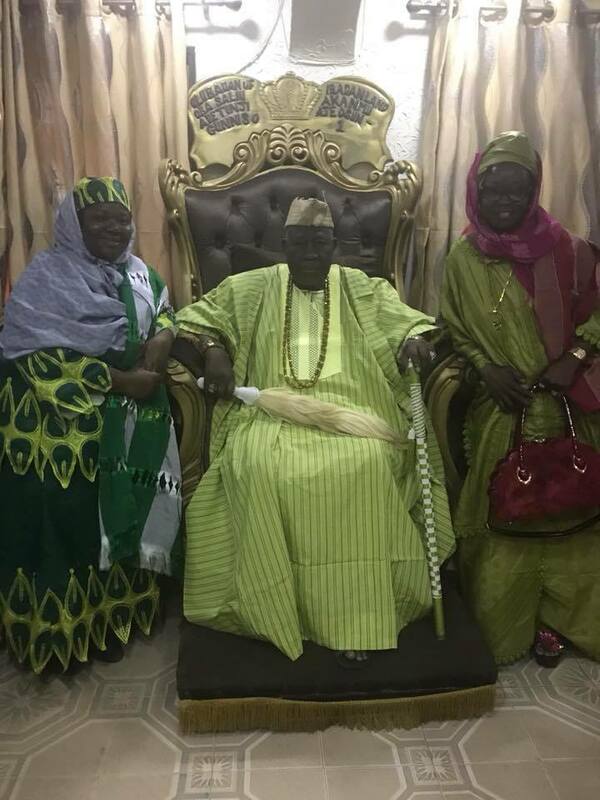 A side note about AMAC..its current chairwoman, Zulfat Suara, a Nigerian, who just spent time in her homeland, has failed to condemn and call for the end of violence Nigerian Muslims just committed against Nigerian Christians by slaughtering them in their places of worship over the last few days. The obvious attempt to promote the false story only Muslims are vilified and massacred just shows the intentional deceitfulness of their message. It’s a disgrace hundreds of real pious people are being killed and the media and Muslims only find their story worth time. It’s time to see “Islamophobia” for what it is. Non-existent and a lie. Next → Next post: Tennessee Muslims Silent On Christians Demise.